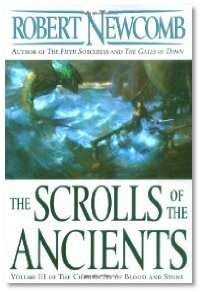 Robert has released the third book in his ground-breaking high-fantasy series, The Scrolls of the Ancients. You won't believe the story behind the book. Listen to our interview, or check out Robert's website, as it's one of the best web sites we've seen about a book or an author. 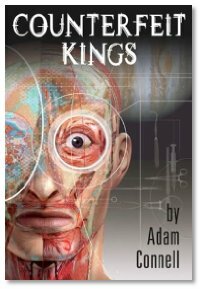 Adam is making quite a name for himself in the science fiction world with Counterfeit Kings. Publishers Weekly sums it up the best: "Featuring shattered characters whose souls are as dirtied as their deteriorated surroundings, Connell's novel boldly challenges the rigid moral conservatism so often found in traditional space opera, and is sure to both please and anger readers of this particular subgenre." Half-Life theives caught by gamers, not the cops.